Availablility of fast Internet is a main factor for cruise passengers to share their impressing moments with family and friends. 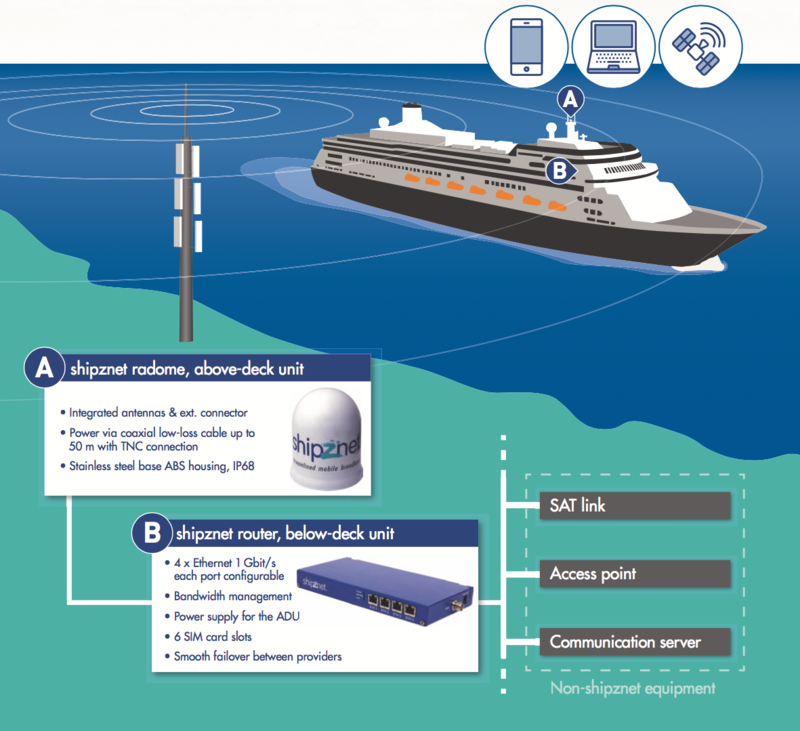 shipznet delivers high-speed connectivity – up to 300 Mbit/s for worldwide mobile broadband internet access. This state of the art system can be easily adapted and configured to meet high standards of IT environments. shipznet has years of experience in maritime fields, a foundation to advise new and modern developments for all needs of cruise liners.